A rare polio-like virus that can cause paralysis appears to be sweeping its way across the nation, with 62 confirmed cases in 22 states, according to the Centers for Disease Control and Prevention, the Washington Post reported. And yes, there are confirmed cases of acute flaccid myelitis (AFM), a nervous system condition that affects mostly children, in Pennsylvania and New Jersey. According to the CDC, 90 percent of the confirmed cases have affected children 18 years old and younger, with the average age being four, the Post reported. The condition resulting in the weakening of one or more limbs, loss of muscle tone and reflexes, facial and eyelid drooping, difficulty moving the eyes, difficulty swallowing, slurred speech and, in the most severe cases, difficulty breathing. Viruses, environmental toxins, and genetic disorders are generally to blame for AFM and similar neurologic diseases, according to the CDC. One of the many, many weird things about AFM — aside from it being a polio-like virus taking place in 2018 — is that it is cyclical. According to the CDC, the first cases of AFM were reported in August 2014, and they’ve seen spikes in the numbers of cases in from August to October 2016 and now, here we are in 2018. CNN found that Colorado had 14 confirmed cases, more than any other state, followed by Texas with eight and Minnesota with six. The other states reporting confirmed cases are Pennsylvania, New Jersey, Arizona,, Georgia, Indiana, Iowa, Massachusetts, North Carolina, Ohio, Rhode Island, South Carolina and Wisconsin. Although the cause of these outbreaks is generally a mystery, the 2014 spike coincided with "a national outbreak of severe respiratory illness among people caused by enterovirus D68," though it wasn't found in all patients, according to the CDC. For example, 11 of the Colorado-based AFM cases have tested positive for EV A71, a rare enterovirus most commonly seen in Asia, CNN reported. 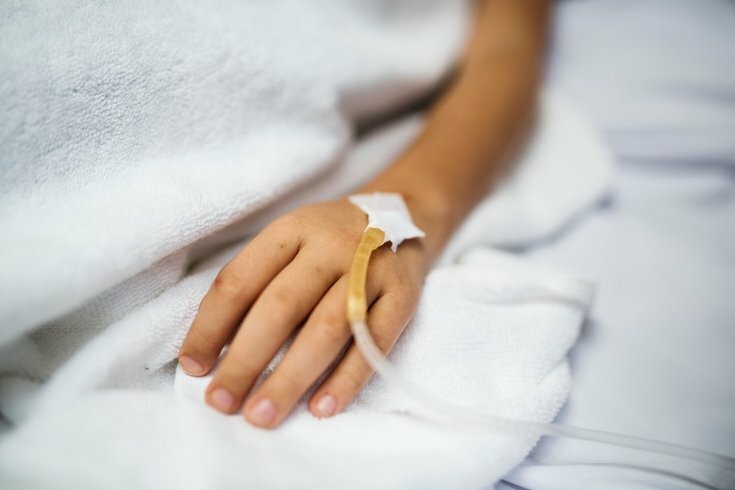 Children's Hospital of Philadelphia was confirmed to have treated two cases in August, three cases have been confirmed in New Jersey this year and three more cases were confirmed in Pittsburgh, the Inquirer reported. But the Philadelphia Health Department told the newspaper that no cases involving Philadelphia residents have been confirmed. Of course, there may be more unconfirmed cases out there being investigated. That said, the impact of AFM could be much greater than we currently know. According to the National Institutes of Health, there’s not exactly a cure for AFM, but treatments that have been tried include immunoglobulin replacement therapy, corticosteroids, plasma exchange and antiviral therapy. It’s worth noting that this disease can be deadly, but there are also reports of those affected — like this young lady — who turn out perfectly fine.